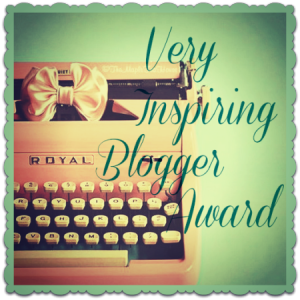 The king of hugs and one of my favorite fellow bloggers, Lord David Prosser, nominated me for this award. I have no award-free principles, so I am delighted to accept the honor. Nominate 15 other blogs you enjoy, then comment on their posts to let them know that you have nominated them. 1) Although I live in France, I hate to travel and never bothered to learn any foreign languages before meeting my husband. Who, you guessed it, is French! 3) We have two grown children, who shall remain nameless on this blog, and two substitute children: our Frenchies, Higgins and Humphrey. Oh, and two vile lodgers who think they own the joint: the cats, Bianca and Leo. 4) I am a professional writer. Shh! Don’t tell my clients, they pay me to do what I do for free here. 5) In another life, I used to sing. 6) Unrelated fact: I am deaf in one ear. 7) I curse like a sailor and spit like a man. In two languages! So, now to the real business. Here are 15 blogs that I follow with pleasure and can recommend you do the same. A Crooked Mile: Another blogger who shares sometimes mixed feelings about France. Au Pair Gal: I am very much enjoying this new blog chronicling life as an Au Pair. As Told by Dana: Great stories from the trenches of life in France. A Year in Perigord: A Francophile with a very British sense of humor. Food, Photography and France: A food photographer who can make anything look magical. Multifarious Meanderings: A funny take on just about anything. Forty c’est Fantastique: Souvenirs of past and future trips to France. Long View Hill: One woman’s challenges in living a balanced life. Big Body Beautiful: An inspirational blog about finding beauty in all body sizes. Cogito Ergo Mom: Thoughts on parenting, emphasis on the thoughts. Colin Bissett: Travel, architecture and more from an adopted Aussie. The Cheergerm and the Silly Yak: I enjoy reading this blog almost as much as drooling over the gluten-free recipes! Wandering Cows: Bits and bobs from the travels of wandering Aussies. Happy reading and bonne semaine! Congrats indeed. I always look forward to your postings and your lovely sense of the absurdities of (French) life. Keeps me going when I think I’d much prefer to be living in France than Australia (oops, whisper it). And thank you for your honourable mention – I shall have to think about interesting facts for my acceptance. So glad you continue to sing through your blog! I never thought of it that way, thanks so much! Hopefully I manage to stay in key despite some rather sharp notes! Looking forward to following your adventures back in the ‘Homeland’! Thanks, Vanessa! Means a lot coming from a published writer with her own wonderful blog! P.S. We also eat breakfast in bed. Every day! Magic Mel, I’m so glad you accepted and even kept to the rules which I didn’t. Nice nominations too. I’m off to look at them. Don’t worry, there is a down side: some of the writing jobs are pretty dull; and I do have to change the sheets a lot! Merci! Glad to share the love! Thanks for your warm comments, Osyth! (And for the new word – mahusive…?) 😁 My pleasure to recommend your excellent writing, and hope it will lead to happy explorations for you and new followers for your blog. Wow, I am honored that you like my blog! (www.aupairgal.com) Thank you for the shout out 🙂 You are an excellent blogger yourself and I can’t wait to read more! Thanks, and looking forward to following your adventures!